Registration is now open for CES' competitive and pre-competitive programs for the 2018/19 swim season!!!!!!! Program details (training schedule & pricing) can be found here. The link to register can be found under our Programs page. 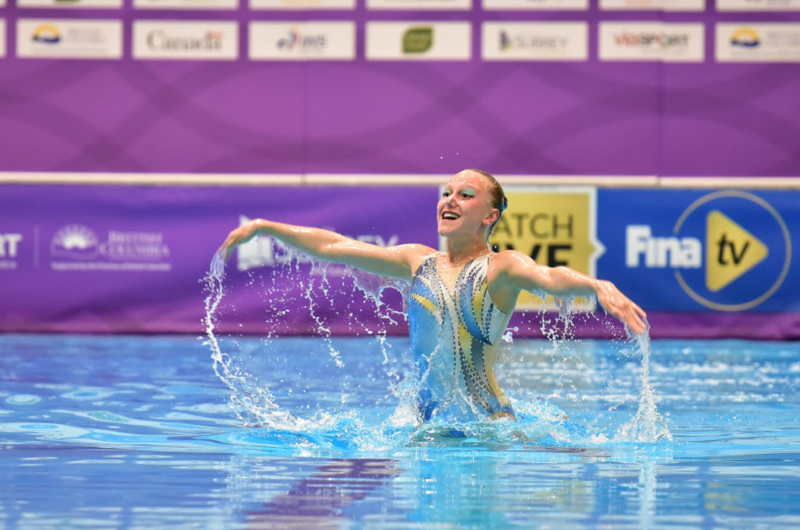 ​Please note that CES prides itself on being Calgary's only boutique synchronized (artistic) swimming club therefore registration space is limited to ensure we continue to offer the low swimmer-to-coach ratio that has made us the "little club with BIG results". ​Questions? Contact our head coach Kim at headcoach@calgaryelitesynchro.com. CES Finishes 2017/18 Season with a WOW!!!! Huge congratulations to the CES U12 Team for their top 10 performance at the Ontario Open Age Group Synchronized Swimming Challenge (OOAGSSC) in Etobicoke in May. This team, which is primarily comprised of FIRST YEAR SWIMMERS (Wow!) came 9th overall competing against some of the best U12 teams in the country. 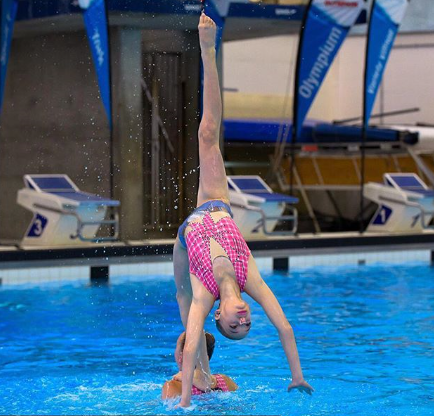 ​Following OOAGSSC, CES swimmer Jonnie went to the Canadian Espoir Championships in Surrey to represent our Club and Province in U12 solo. Jonnie placed 2nd in solo routine, 3rd in solo championship, 5th in figures and 1st in two (2) dryland testing events. ​What a way to finish off the season U12 athletes! Registration is through Repsol Sport Centre but will be staffed by CES' amazing coaching team. The link for the program descriptions is here. ​CES also saw phenomenal results in Team, Solo & Figure Events from our U10, U12 & Novice athletes. The Coaching Team couldn't be prouder of every one of our competing athletes. The improvement from each swimmer at this competition was nothing short of AMAZING!!!! Way to go CES swimmers & coaches. We truly are the 'little club that could'! Way to go CES! Calgary Elite Synchro was awarded the 2017 Small Club of the Year award in Edmonton on September 16th. Head Coach, Kim Hurtig & Technical Director, Kristin Johnson were on hand to accept the award. Support CES with gift cards!